Basusree Cinema is one of the few halls of Kolkata that claim a pride of place owing to its rich cultural and historical legacy of 71 years that continues to go strong. A little less than six decades ago when I was 11 years old, I accompanied my family to the Basusree Cinema of Kolkata to watch Nitin Bose’s Ganga Jamuna (1961). Bollywood icon Dilip Kumar was not only the hero of the film but also the producer as well as the scriptwriter. Basusree cinema is one of the few halls of this metropolis that claim a pride of place owing to its rich cultural and historical legacy and continues to go strong. It is located right at the hub of Hazra more at 102, SP Mukherjee Road, standing out as amidst the ever-growing modern constructions in and around the vicinity of south Kolkata. 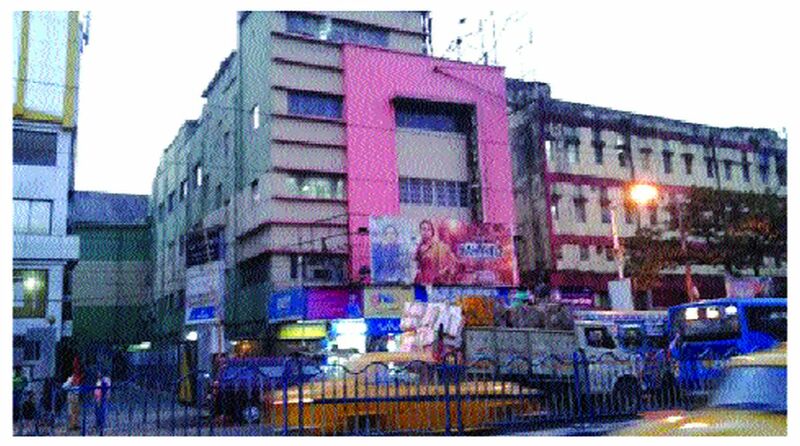 Given how the heritage theatre and cinema halls in the city are fast winding up business to make way for malls and multiplexes, the Basusree Cinema still survives the test of time. The hall first opened its doors to the general public on 19 December 1947 after India’s recently acquired Independence on 15 August that year. Initially, the establishment took off as a business proposition by Satyabhushan Basu, whose surname the hall is carrying with pride till this date, completing 71 years. Other than screening films, the hall also provided a cultural platform promoting arts and entertainment. There was a time when the hall used to host musical soirees regularly which increased the place’s popularity. This was initiated by the late Mantu Basu, a descendant of the founder. These cultural programmes during the 50s and 60s saw participation of legendary stalwarts such as Hemanta Mukherjee, Shyamal Mitra, Sandhya Mukherjee and other eminent artists. The real crowd pullers were the informal chat or adda sessions, especially in the Bengali New Years day (Poila Boisakh) which included icons like Uttam Kumar, Soumitro Chatterjee, Bikash Roy, Pahari Sanyal coupled with notable actor-comedians Bhanu Banerjee, Jahar Roy and Robi Ghosh joining the bandwagon with their quick wit and humor. 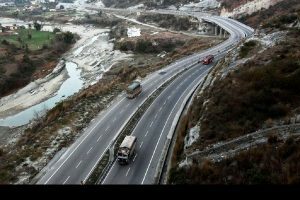 Old-timers may recall with nostalgia the intoxicating charm created by the performances of classical music exponents such as Bade Ghulam Ali Khan, Vilayat Khan, Ravi Shankar and Allarakha among others. It goes without saying that the show business entertainment reached new heights with the genius contributions of music directors like Sachin Deb Burman, RD Burman, Manna De and Kishore Kumar who enhanced the nostalgia of those halcyon days at the Basusree cinema. Few are aware that Satyajit Ray’s directorial debut Pather Panchali was screened here on 26 August 1955 following his felicitation in the presence of Bidhan Chandra Roy, the second Chief Minister of West Bengal, for winning an award in Cannes for the best human document. There used to be screenings of classic Hollywood movies for morning shows which were considered landmark events. These included William Wyler’s Ben Hur, Cecil B. DeMille’s Ten Commandments, Orson Welles’ The Trial, Alfred Hitchcock’s Birds and Dial M for Murder. Some of the others worth mentioning are Richard Lester’s The Three Musketeers, Richard Thorpe’s Ivanhoe, Randall Wallace’s Man in the Iron Mask, Martin Campbell’s The Mask of Zorro and also the films of the King of Rock and Roll Elvis Presley like Jailhouse Rock , Loving you, Love in Las Vegas which drew huge crowds in the 60s and early 70s. Some of the evergreen films of the Indian film industry such as K. Asif ‘s Mughal-E-Azam, Guru Dutt’s Kagaz Ke Phool, Sunil Bandopadhyay’s Deya Neya and Antony Firingee to mention a few were also shown here. International film festivals were held annually at the Basusree Cinema in the 50s and 60s when Vittorio De Sica’s Bicycle Thief and Akira Kurosawa’s Seven Samurai were screened. When Bimal Roy’s Devdas was released here in 1955, the director himself along with his cast members Dilip Kumar, Vyjayanthimala and Suchitra Sen were present on the occasion. The film received a standing ovation. The late Mantu Basu, who was the architect behind the various cultural functions at the Basusree Cinema was presented with the Dada Saheb Phalke award. Irrespective of the sea changes in the film industry witnessed by it for 71 long years, Basusree Cinema has effortlessly adapted to the metamorphosis from celluloid to digital. Today, the enduring legacy left by its founding father Satyabhushan Basu is a matter of great self esteem to the present generation of the Basu family as it stands as an example of survival in the face of all odds.